Lowlight Ghian, ett Kaizenprojekt: ...so what's with the Okrasa high comp heads? Earlier I asked the readers regarding the background of the "special alloy high compression heads" that was advertised in the Okrasa price lists in the 50's. The information I've got so far is that these heads were made to go with special Weber carburators and that only a few were ever made. Aside of the bread-and-butter Okrasa kits (16 000 made in total according to one source), they also made low volume stuff for racers. The hi-comp heads were probably in this category. If you ever find such heads they are definitely in the rarest-of-the-rare category! The picture shows the Okrasa Ghia used at Econo motor as a demo car. 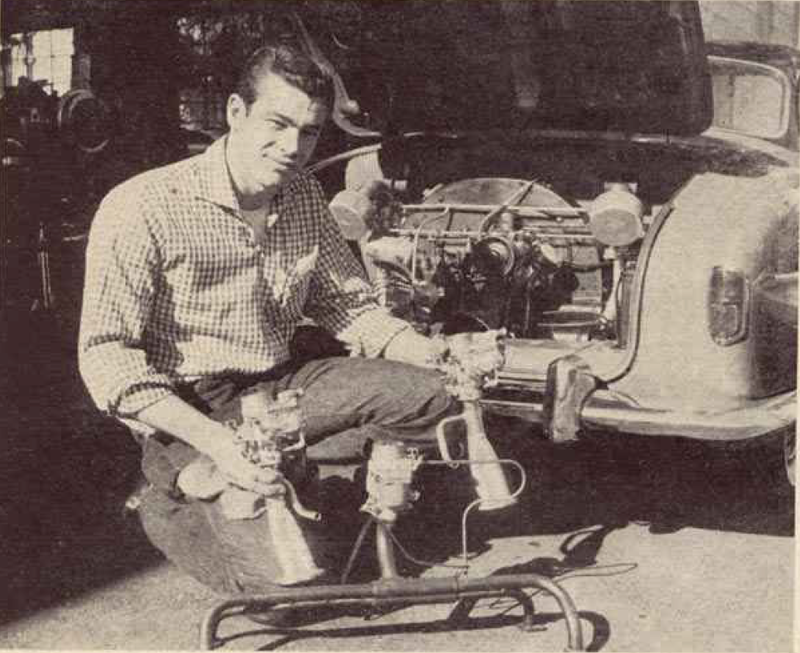 From Hot Rod Magazine, April 1957. It has nothing to do with high compression heads. It's just a nice picture.